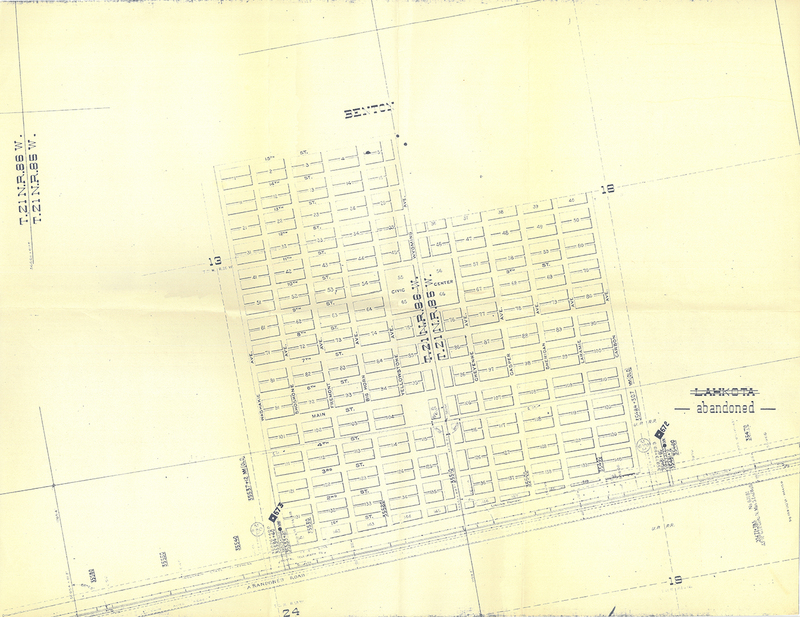 In the course of conducting the research for this project, I found that many of the original town plats were available. I’ve captured copies of these, and am going to include them on this page. These will go in the order of the 1915 “Complete Official Road Guide of the Lincoln Highway” Guide book, (east to west). More will be added as they become available. 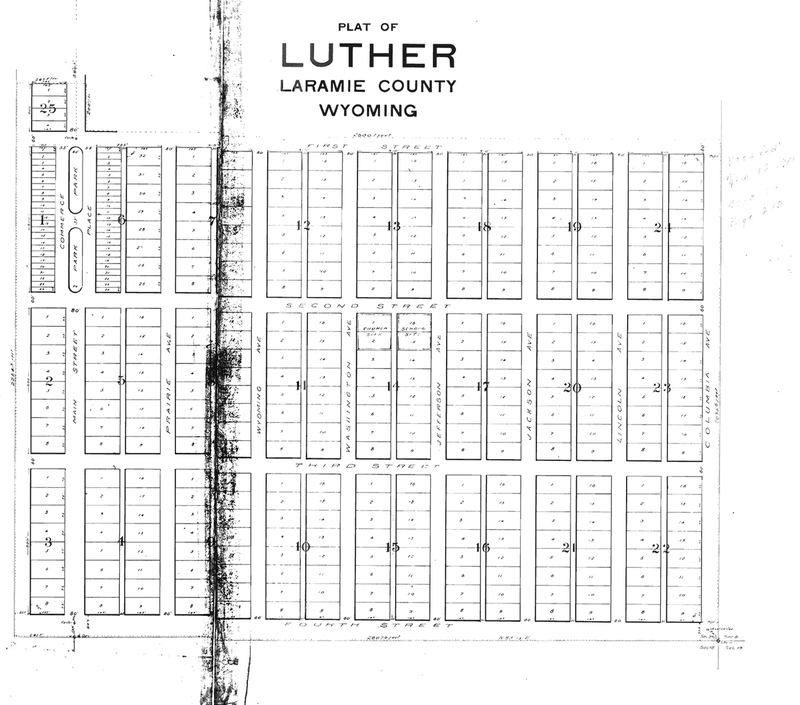 Copy of the plat for Wyoming, ca. 1934. 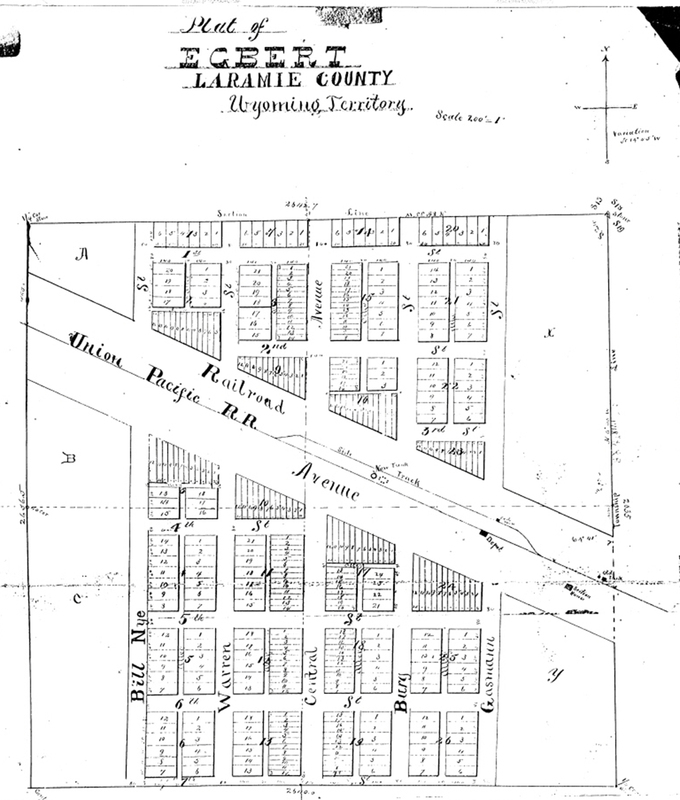 The Lincoln Highway would have been “East Depot Street”. 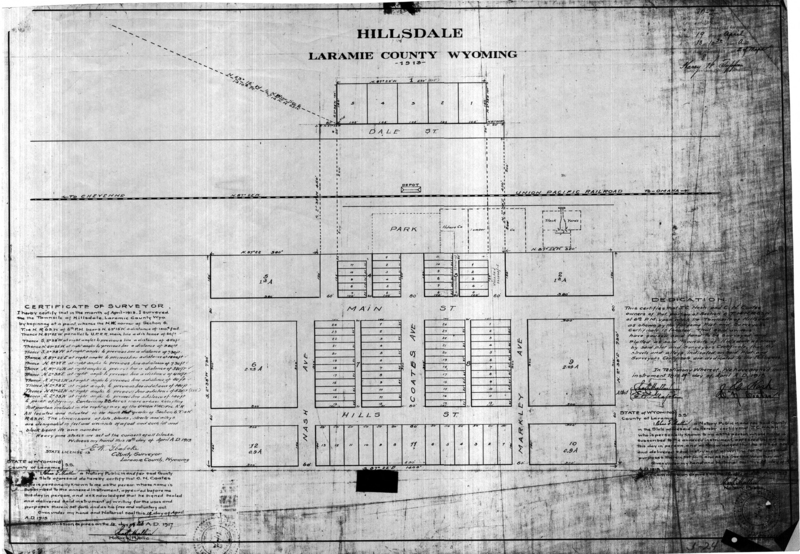 Wyoming State Archives, Department of State Parks and Cultural Resources. 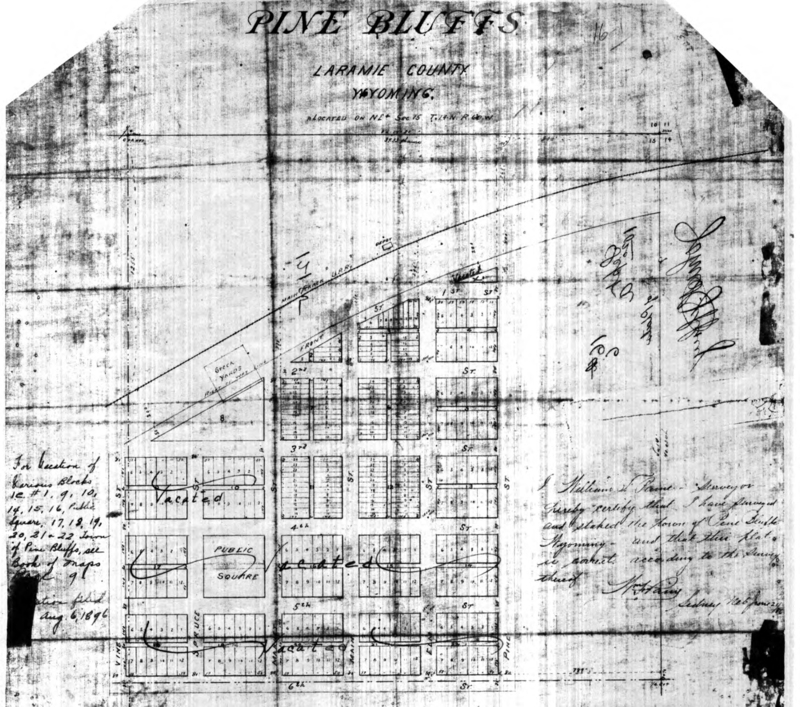 Plats for Pine Bluffs, Egbert, Hillsdale, and Luther are all public records; use is courtesy of the Laramie County Clerk’s office, 309 W. 20th Street, Cheyenne, Wyoming. 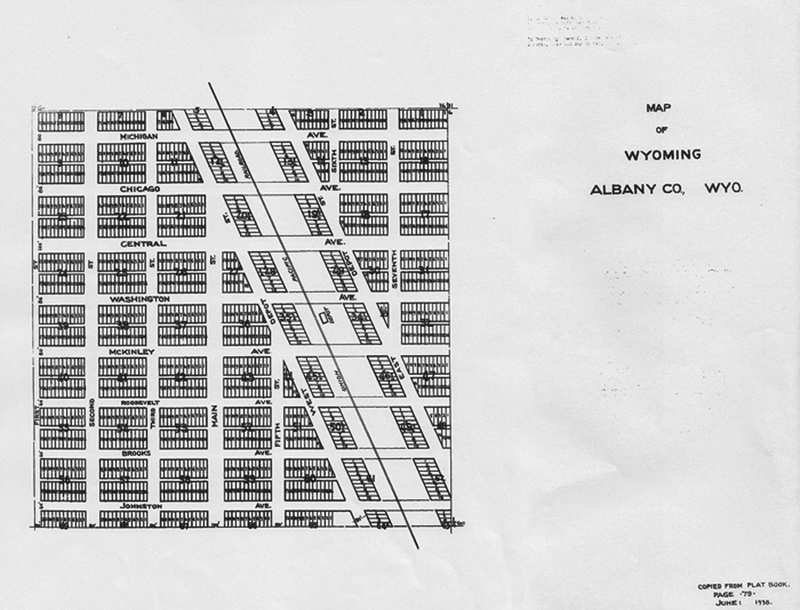 Plat for Wyoming: Wyoming State Archives, Department of State Parks and Cultural Resources.